I love soap...in case you haven't noticed! :) Any kind of soap is great, especially when it is natural. My hands are constantly in water so if I can keep them soft, it's a miracle! I find myself applying moisturizers to my skin all the time and can never seem to keep up with the dryness. So, anytime I use soap, I usually reach for something that is going to help my skin stay smooth and soft. Recently I was perusing the web and came across a really great company that I have the privilege of introducing to you all today! 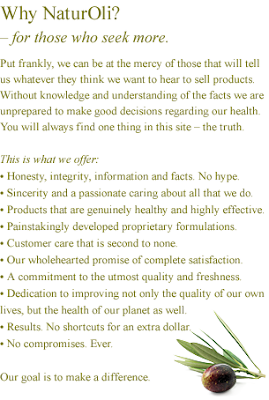 I was very excited to find out that this particular company has natural soaps...amongst other things. 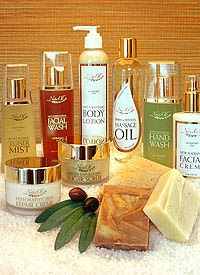 NaturOli is a company that uses Soap Nuts and Olive Oil in their products...making them natural and very healthy. Soap Nuts are dried shells of the Soap Berry. These unique berries come from a tree and the shells contain a substance called saponin that produces a soaping effect. Saponin is a 100% natural cleanser that is an alternative to chemical ingredients in laundry detergent and other cleansers. I have heard of Soap Nuts before, yet have never seen them used in this fashion before. I guess I never realized that they were actually soap! For this review I was sent a Soap Nut Cleansing Bar. The first thing I noticed about this soap was the fragrance. It was soo natural and calming...not synthetic and laden with chemicals. The second thing I noticed was how it was packaged. This soap would make a wonderful gift for anyone...it looks so pretty! *Catalyst used during the saponification process of true natural soaps. Completely neutralized. I love all the ingredients in this list...especially the Essential Oils! The Soap Nut Cleansing Bar is priced at $6.90 per bar and will last you a long time. Just remember to allow the bar to dry completely between uses...this will allow you to use it longer! NaturOli has many other products available to you as well, such as Soap Nut Shampoos, Laundry Detergent and Home Spa essentials. So, in my opinion...NaturOli is a very natural and lovely company! I enjoyed the soap that I received for this review and think that the products offered by NaturOli are wonderful! It was very educational to learn about Soap Nuts and why they are so effective. I do recommend NaturOli to anyone looking to go more natural when it comes to their hygiene and daily household routines! Disclaimer: I received no monetary compensation for this post. 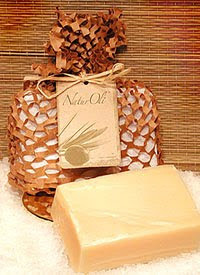 I received a bar of Soap Nut Cleanser from NaturOli for review purposes. All quotes are from the NaturOli website and email. All thoughts and opinions are 100% mine. I'm Donna's partner, and the founder of NaturOli. Thank you for such a wonderful review! Its intent is educational. And there's a ton of info - far more than would be appropriate for the NaturOli web site. It drills deep - even into independent lab efficacy and toxicology testing. It also has the most extensive FAQs for soap nuts anywhere online. Very helpful and the site's second most visited page. I firmly believe that saponin will change the entire landscape of the detergent and cleaner industry. The day IS coming when groves of Sapindus trees will replace many chemical processing plants. How's that for "green"? The "Green Dot Award" Jury summed it up better than I possibly can. They state: "NaturOli green detergents' and cleansers' use of saponin, which is derived naturally from soap nuts, is possibly the most significant green innovation in history for everyday household cleaning needs."